POLL: Favorite Tech N9ne Merchandise? As with everything Strange Music does, Tech N9ne merchandise is always guaranteed to be top quality. Made with the fans in mind, Strange Music makes sure that the best and newest merchandise is readily available for fans to purchase online or at live shows. Over the years, Tech N9ne’s merchandise has expanded to include unique items like: dog tags, shot glasses, posters, sweatshirts, and fitted hats. 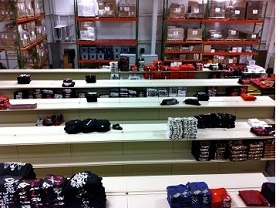 We would like to know what your favorite Tech N9ne merchandise is. Vote below for your favorite Tech N9ne merch.